I am well aware that the post you are about to read is not a restaurant review, but if you are anything like me, and most guys in this country, you understand that Sundays, from early September to mid-February, is no time to be gallivanting around town visiting restaurants. By 1:00 PM any self-respecting Blue Collar Foodie should be on his/her couch, with the Television tuned to whatever Nationally televised NFL game that is on, while the oven, smoker, grill, or slow cooker is gradually cooking some type of food that will be consumed joyously at around 6:00 P.M. by family and friends. As I have stated in previous posts, Football Sundays at my house are damn near religious events. Tuesday morning during football season, I begin my search for my recipes for the big day, much like the players begin their workouts. I scour Google, Allrecipes, Food Network, and the like for something that tickles my fancy. By Wednesday I usually have my game plan and the first shopping trip is done after work, this is where I pick up my non-perishables and proteins, anything that can keep until Sunday. Thursday and Friday the invites go out and we find out how many people will be watching the games with us. On Sunday, Kat and I are up early shopping, preparing, seasoning, preheating, and marinating. 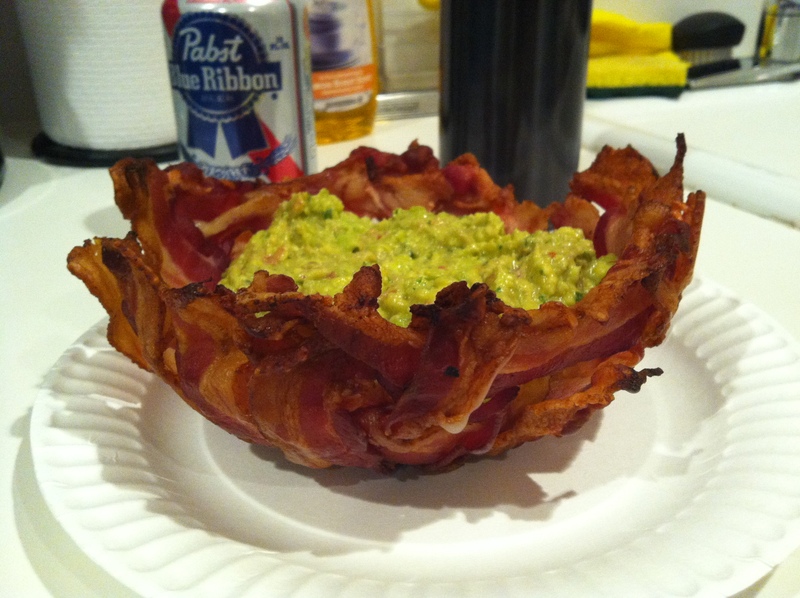 The following is what I consider the BCF’s Top 10 Foodie Football Finds for any given Sunday. 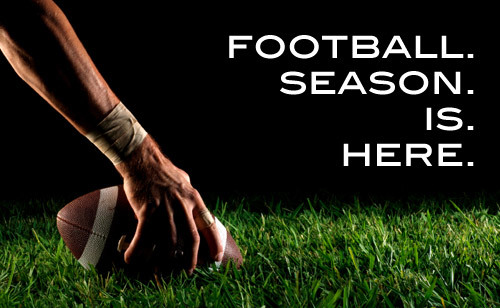 Since there is usually three different times that football games are on television during the regular season, I feel that there are really two distinct eating times during the games. I always cook appetizers for the first game, 1:00 PM, to prime everyone’s stomach for the main event which I serve at halftime of game two, 6:00 P.M, leaving the late night game for digestion and discussion. Coming in at number five in the appetizer class is everyone’s favorite use for an avocado, Guacamole. This dish has been around since the 16th century, and was very popular in the 1940’s and the 1960’s. We can all thank our west coast comrades for the resurgence of this classic Mexican dip, since the Avocado has become more popular than celebrities flipping off paparazzi in California, and has since spread like wildfire throughout the country. This tangy concoction of Avocado, garlic, cayenne pepper, and whatever the hell else the recipe tells you to throw into a bowl and mix until somewhat smooth has become a staple at my house for basically any party. It is not only simple to make but it is an affordable replacement for the prehistoric and lackluster party basics, salsa and onion dip. The following is just one of the recipes I use, I like variety, so you can try this one, or better yet hunt down a recipe that makes your mouth water and give it a go this Sunday! At the very respectable number four spot for the appetizer division is the ever so manly Sausage. Some foodies will tell you that sausage is an entree, which I understand, but I am all about slicing these veritable grenades of flavor and cooking them until they are crisp on my grill top. With an arsenal of toothpicks at the ready and an array of dipping sauces whatever sausage you buy can turn into a crowd favorite in minutes with little to no prep and cook time. 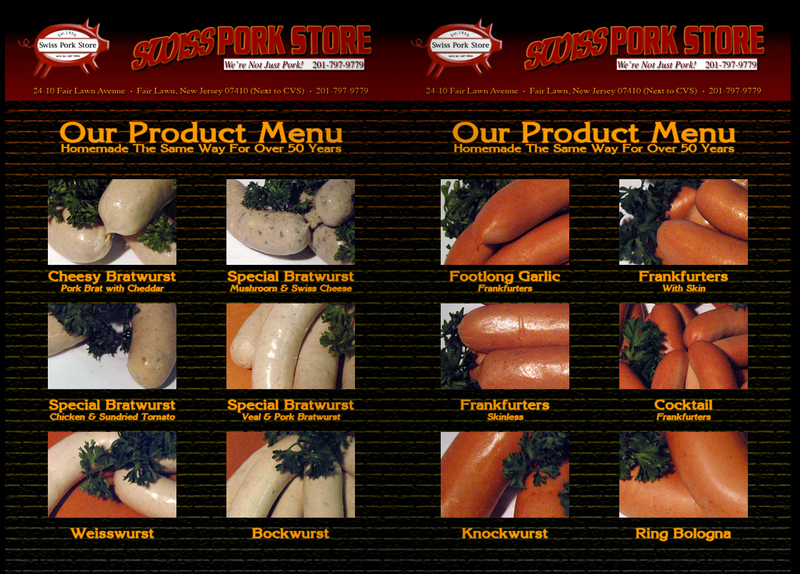 I recommend going to the Swiss Pork Store, located at 24-10 Fair Lawn Avenue, in Fair Lawn, New Jersey 07410 to procure some of the best homemade sausages on this planet! But, if you want to make things easier on yourself you can always pick up any of the packaged sausages from the local grocery store, I for one, like these the best. 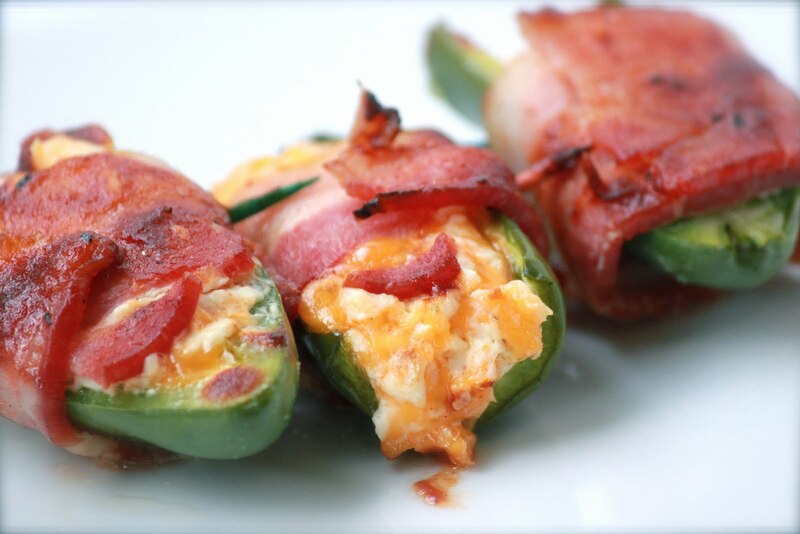 Rounding out the top three for the appetizers, is a new recipe for my household, but these spicy little devils have stolen my heart, Bacon Wrapped Jalapenos. 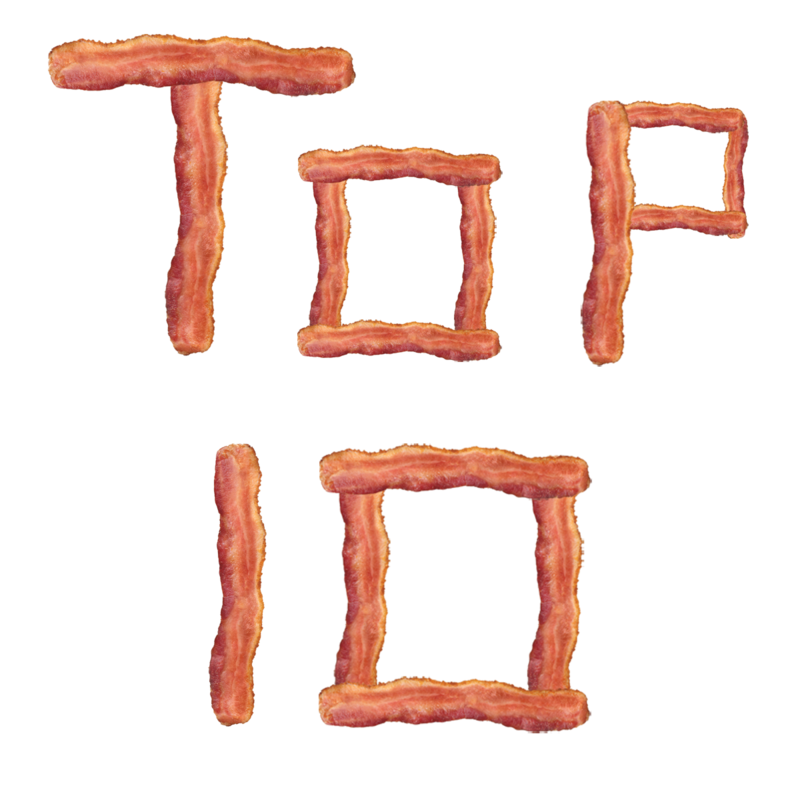 First and foremost, anything wrapped in Bacon is always welcome on my team, but when cheese and hot peppers were combined with the world’s best condiment, yes bacon is a condiment; a new level of love was formed. These petite gems are not only inexpensive and stress-free to make but they are the perfect companion to whatever beer you and your guests are imbibing while shouting at the television as if the coach and players can hear you. 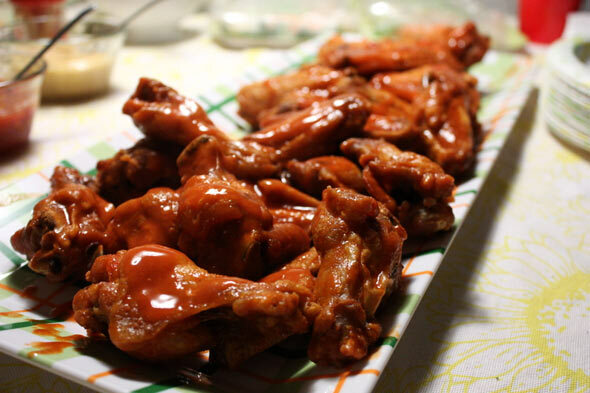 The second best appetizer for any football Sunday, in my opinion, is the ageless classic and utterly delicious chicken wing. Whether they are hot, mild, garlic, sweet, honey, teriyaki, or plain these scrumptious pint-sized buggers just scream football. Not only can you make them every week for less than 10 bucks, their versatility allows you to never cook the same batch twice. Not only can you create 100’s of different flavors by combining sauces you can fry, grill, or bake them to create even more variety. All in all, these vintage sporting event treats are a great choice for the novice chef trying to feed a small army. The BCF’s top appetizer and truly what should be the winner in any appetizer competition from this point forward is and should always be, THE BACON EXPLOSION! Nothing goes better with football and beer than a meat log filled with cheese and bacon, wrapped in more bacon, slathered in barbecue sauce and cooked to perfection. This dish has been known to convert more vegetarians than the crusaders converted heathens. 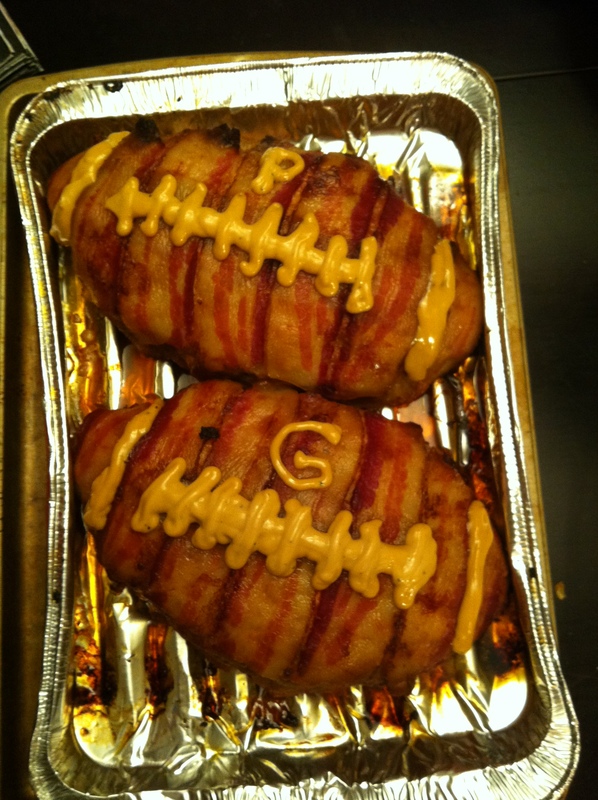 Although this is a non-traditional appetizer, once you make this stunning bacon wrapped meatgasm, you will forever remember the first time you tasted it, and for that very reason since October 19, 2008 THE BACON EXPLOSION has been The Blue Collar Foodie’s Favorite Football Appetizer! Once the appetizers are all gone and the chips are starting to dwindle your guests are going to become restless. If you are doing things properly, by the beginning of the second game your entire house is going to smell glorious, and your friends are going to know that dinner is going to be just as good as the appetizers were. Now after serving one of the aforementioned appetizers you could settle for cooking some hot dogs and hamburgers, or maybe even order some pizza, but that would be the easy way out. I am the type of person that agrees with the old phrase, Go big or Go Home, I don’t just settle for what is acceptable, I want to crush acceptable into a fine dust and add to one of the next dishes that make up the Blue Collar Foodie’s Fantastic Football entrees. Number five on my list only finds itself that low because I have to wait until the colder months to truly enjoy it. This mélange of ingredients that takes the entire day to truly meld into a cohesive mouthwatering meat potion is one of my favorite dishes to munch on, during a cold blustery football Sunday. One of the many reasons I love making and eating chili is because everyone has their own recipe and method of cooking, but no matter what they all taste great. I for one hardly ever make the same Chili recipe twice. With literally 1000’s of recipes to choose from on the internet, I feel that having the same one all the time is just meaningless. 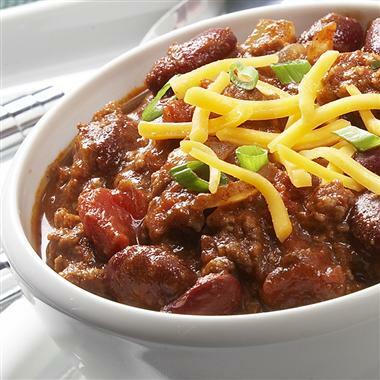 Check out the winners of the International Chili Cook-off recipes for inspiration or be adventurous and create your own. 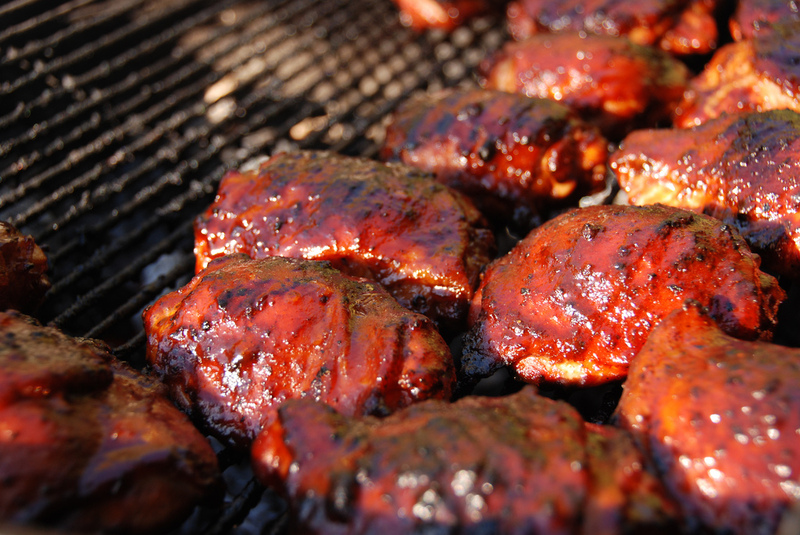 Barbecue Chicken is a very simple, yet difficult to master dish, that can go from undercooked to charcoal in a matter of minutes if you are not paying attention. Furthermore, it is very easy to end up with chicken that is burnt on the outside and pink on the inside, which not only tastes horrible but can be dangerous. It is these problems that usually make people shy away from cooking this delicious meal, which is exactly why, you should master this art. There are only a few people in this world that cook truly superb barbecue chicken, and if you can distinguish yourself as one of them, you will have friends lining up at your doorstep at 12:30 P.M. on Sunday begging for a seat on your couch. Now go get started! 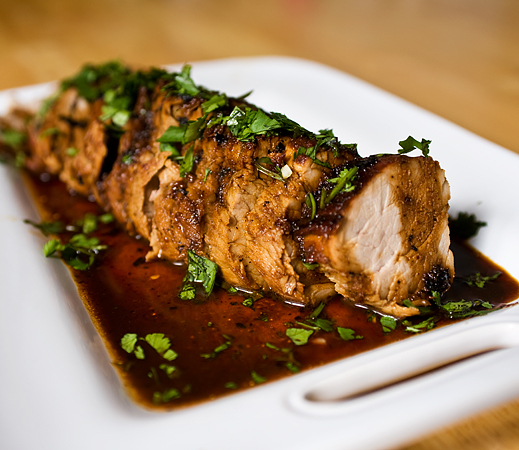 In third place, and one of my most favorite cuts of swine, other than Bacon of course, is the Pork Tenderloin. It really does not matter how you prepare this succulent cut of pure porky goodness, it will turn out to be a fan favorite. This type of meat is so damn popular it has a website devoted to it where you can find recipes and cooking tips that is literally named PorkTenderloin.org. I have cooked this wonderful piece of meat a dozen different ways and I have never been disappointed before, and neither have my friends. If it was up to me Chicken would be demoted and we would start calling pork just THE WHITE MEAT! The runner up in the Entree class, Smoked Barbecue Brisket, almost took first place, and really is an amazing meal for anytime of the year, but especially during football season. In fact, both first place and second place honors were given to meats that are smoked, low and slow, all day long. (TWSS) This particular cut of meat is served at almost every BBQ joint I have ever been to, and there is a damn good reason for that. Brisket has an ideal flavor absorbing quality and due to its fibrous make-up, takes to smoking, like a cheetah takes to running. 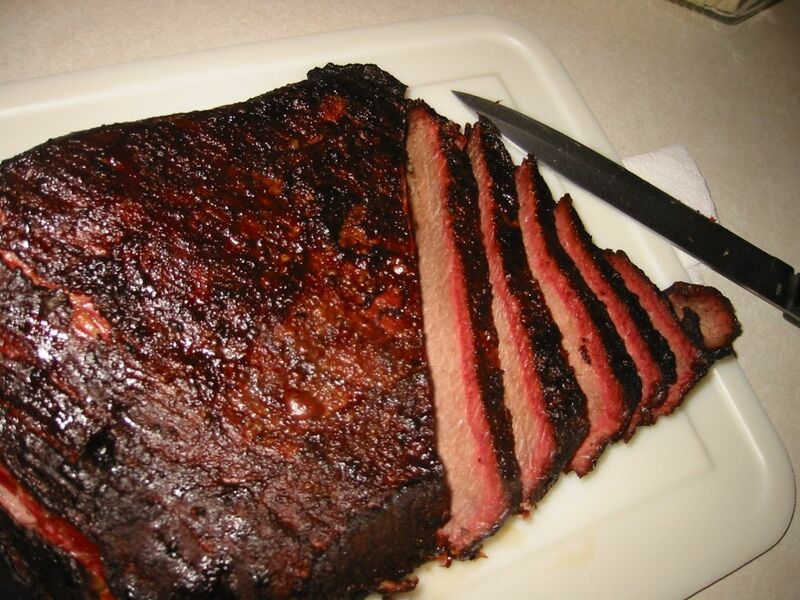 Remember though, smoking is a skill that must be honed; one cannot just assume that the first brisket that he or she smokes will turn out as good as a true pit master’s does. With that said, practice makes perfect and even if your brisket is not perfect, it will still taste fantastic, so I don’t mind practicing. Try this recipe for your first one. The winner of the entrée group and still tailgate/football party champion of the world, are the one and only, fantastically tasty, PORK RIBS! Whether these flavor-filled racks of ridiculously good yumminess are grilled, baked, or smoked does not really matter. There is something about Ribs that just exude football and manliness. I for one enjoy the smoked variety slathered in my favorite barbecue sauce, surrounded by all the best barbecue sides that I can manage to squeeze on my plate. Although, ribs, are very forgiving due to their appetizing nature, be careful when smoking and grilling them, there is nothing worse than a ruined entrée to ruin your perfect football Sunday. 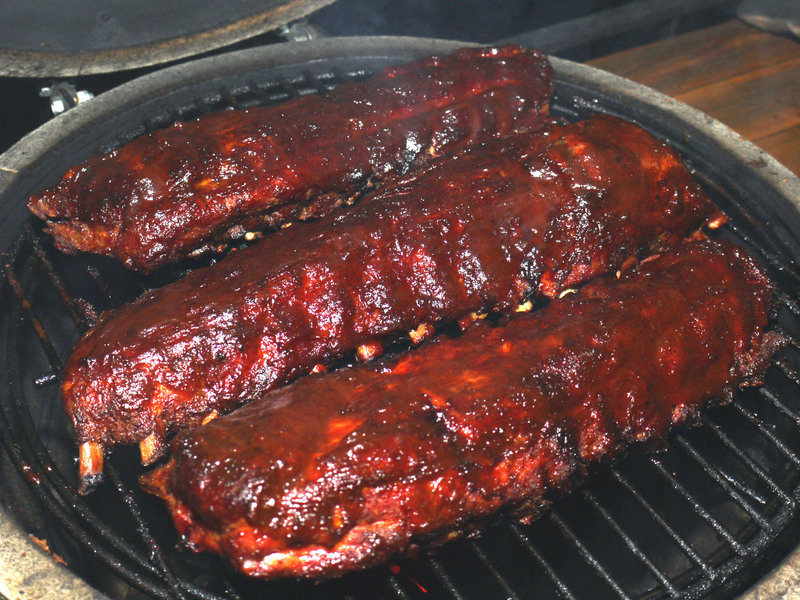 For a full rundown on the proper way to prepare a rack or two of awe inspiring ribs, click here. The most important thing to remember when hosting a football Sunday is that people are over to watch the game first and eat your food second. Which means, if you expect people to enjoy their Sunday you must keep the game on at all times, and allow people to eat while sitting right in front of it. If you are worried about a little barbecue sauce getting on your couches then perhaps hosting a football Sunday is not for you. However, if you don’t mind spending your entire Sunday, cooking, drinking, and watching your favorite teams do battle on the field, then as the envelope said to the stamp, stick with me kid and we’ll go places.